“Much of the concert functioned like a study in contrasts. Often the quartet would lock into a tight and controlled pattern, almost hocket-like, providing a backdrop for Zenón to improvise fluid and athletic lines above, below, around and within the quartet’s music, the rigidity of the quartet starkly different from the saxophone line. At other times the contrasts would be sectional — at one moment all the musicians might be sawing out a line in fierce melodic and rhythmic unison (like in“Milagrosa,” which near its end was quite reminiscent of Messiaen’s famous “Dance of Fury” movement in “Quartet for the End of Time”), and in the next they might break out into a joyful and light latin-inflected groove, as if spontaneously. One thing that felt like less of a contrast than might be thought, however, was the blending of different musical traditions. The juxtaposition of jazz and the seething string harmonies hardly felt like juxtaposition at all — the music’s disparate influences blended seamlessly together. Zenón’s smooth improvisation over the strings interwove easily with the textures, and at times members of the quartet matched this spontaneity of sound with improvisatory sections of their own, as Zenón confirmed to me when I asked him afterwards. 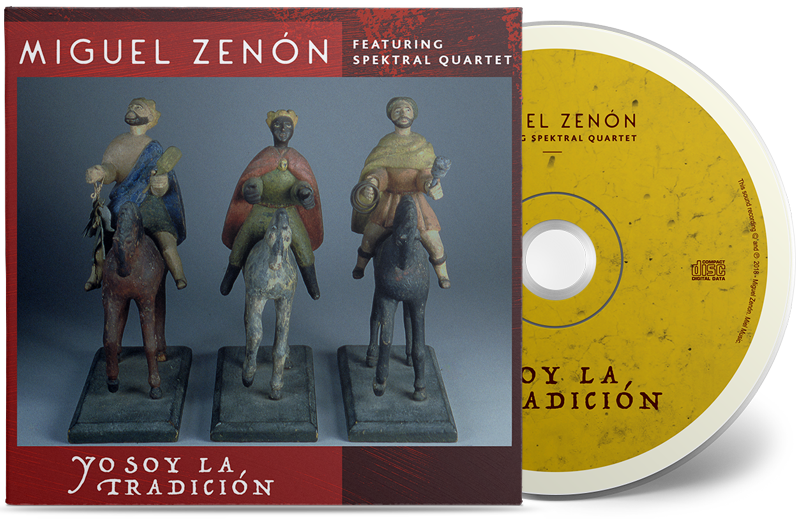 “Saxophonist Miguel Zenón is a big thinker — that much is clear from his recorded output, with its deep and inspiring connection to the folk traditions of his native Puerto Rico. But you also get that sense from his turn behind the Tiny Desk, where we can watch the concentration on his face and those of his adventurous band, the Spektral Quartet. This is life-affirming music with curious twists and turns, expertly performed by amazingly talented musicians.